It’s official. The Fourth birthday of my blog next week will see the commencement of the fifth year of it’s publication. Some thought it would only be a passing fad. True, I’ve missed a few days here and there. Especially lately, when looking after my teenage son as a single parent (and also tending to my ailing father) has become a full-time job. 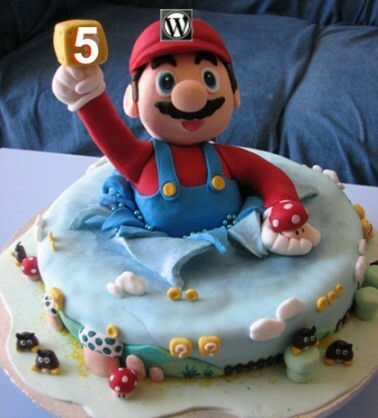 Yes, I know Mario should be holding up a number 4, but it was such a nice looking cake I couldn’t resist. Thanks for all your support over the years. Here’s hoping there will be many more years to come. ps, by the way, if you have too much time on your hands, please check out my blog archives. All my back blogs are there.